This is a most beautiful Wattle and I can see why someone planted it at Wittunga. It flowers from July to October and the flowers were not quite fully open when we were there. A Western Australian species, it grows 2-4m high by 1.5-2m wide. It needs well drained soil and partial to full sun. 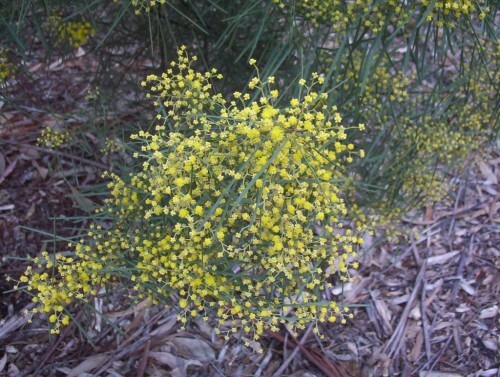 This Acacia prefers shelter from strong winds and is suitable for sheltered coastal planting. Light pruning is recommended.